WiFi Technology and management has seen drastic improvement since Hyper IT commissioned its first corporate Wi-Fi deployment back in 2005. With more than a decade of experience meeting the high demands of the hospitality industry and small/medium business, Hyper IT has developed procedures, proven methods, and utilised field tested topologies. Commissioned with advanced testing tools, each installation is tuned to provide maximum output and efficiency. Hyper IT employs Technology Architects that tailor solutions to suit your businesses needs by utilising software, hardware and web elements. These solutions are then implemented and supported to ensure that your business continues to run smoothly. Housing our own development team, Hyper IT is also able to assist when custom hardware or software tools are required to empower your business. We struggled with an ancient Point of Sale system, the software company ceased trading years ago and our system was inoperable. After choosing a new system, Hyper IT were able to install new hardware as well as the software to bring us up to date. But the new system couldn’t read the data from the old outdated system, so Hyper IT created software to sift through our 20,000 products and suppliers and import all the correct data into our new system. We could not have done this without Hyper IT , it saved us an enormous amount of time and got us up and operating far sooner that we would have otherwise. At Hyper IT we identify needs and create solutions – however the solutions needed have not always been immediately available. Upon discovering this, we created our development team. In the past, Hyper IT has had to liaise and depend on third party development teams. All too often, these teams lack the communication, commitment and management skills required to provide satisfactory customer service. With our own in-house team, Hyper IT can now monitor and manage all aspects of development from conception to completion. Whether it be an update or a complete redesign and development of you website, we provide functional, responsive results. Making systems talk to each other is a challenge, we specialise in integration with third party systems and the web. We can also automate this communication between systems, freeing up your time to do what you do best! With the ability to manage a local, national or even global digital signage network from any computer world wide – Hyper IT Digital Signage provides a powerful yet intuitive cloud managed platform. Supporting a wide range of media and as many different layout designs as you like, our digital signage solution allows you to upload, design and schedule marketing campaigns directly from a web browser. If your business is a motel/hotel or multiple dwelling, chances are you have heard of SMATV. Single Master Antenna Television distribution is essentially the supply of television channels from one antenna to a group of screens or dwellings. Hyper IT is able to investigate and implement a distribution system that will sufficiently supply Free To Air and Pay TV channels for your business. This includes the selection and installation of cabling and antennas as well as the option of having systems monitored by our support staff. You can even broadcast your own channels and display in house marketing campaigns to your guests. Migrating to cloud based services is becoming more popular due to benefits such as lower costs and increased mobility- but what does it really mean? There are varying types of cloud services and not all of them suit every business. Poor decisions in cloud migrations often end with extended downtime, inoperable systems and of course expensive costs to rectify the situation. Need Help Deciding If You Should Move To The Cloud? Quite often, the move to the cloud requires additional improvements or upgrades with the existing infrastructure. To help you make the right decision for your business, Hyper IT carefully considers the available options and provides you with the feasibility of each, including pros and cons. Starting up a new business can be daunting, especially when it comes to planning infrastructure and services. We can help manage some or all of your project, saving you the stress. We also offer pre-construction consultation, all too often this is left to companies with minimal knowledge of IT&T configurations, resulting in compromises. Being a small/medium business you may not think moving or starting an office is a big deal, however with the increasing amount of hardware and services required these days, it can become both an expensive and stressful situation. Hyper IT can take the hassle out of larger projects such as this by liaising and organising all of your required services, from cabling to commissioning. Analog phone systems are a thing of the past. With advances in internet speed and communications technologies, it is now possible to use your internet connection for standard phone purposes. Some advantages are cheaper calls, reduced line rental and better collaboration. 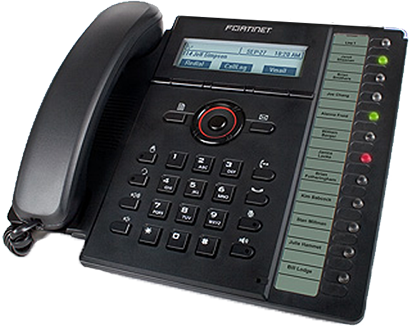 Regardless what type of business you have, the implementation of an IP phone system will lower costs considerably.